Northbound or southbound? Which way should you head on a thru-hike? 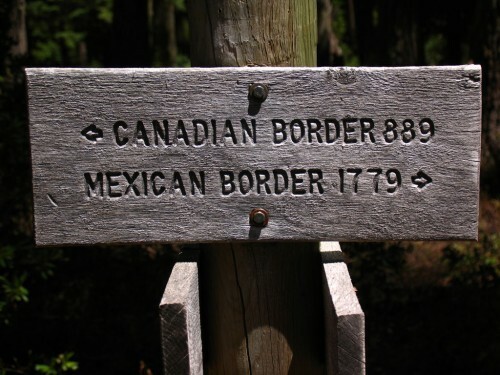 It’s a long way whichever direction you choose. Nowadays, over 90% of thru-hikers head northbound. We recommend starting northbound thru-hikes in late April or early May. Your start date will depend on the snow situation in the Sierra Nevada and in the mountains of Southern California. Start too early and you may be faced with dangerous snow travel around Mt. San Jacinto (only ~150 miles from the border) and the other desert ranges. You may also reach the Sierra Nevada while it’s covered in snow and the creeks are in flood. If you plan to enter the Sierra early, do your research and be prepared for the challenges. The trail can be relatively crowded in Southern California for northbound thru-hikers. The concentration of people means it can be a very social experience. Trail towns may be busy and campsites occupied. To protect the environment and the wildness of the experience, we recommend traveling in small groups and intentionally choosing less crowded start dates. Thank you for protecting the trail and being exceptional stewards by leaving no trace of your travels. You should be off the trail before the first winter snow falls. This is a critical safety concern. With disturbing frequency, backpackers die in the mountains during the first snows of the season. Avalanche danger, hypothermia and obliterated trails are a threat to your life. Snow has closed the PCT in Washington as early as mid-September. In a normal year, you should plan to be off the trail by October at the latest. Please be experts at winter travel and study the forecast and our snow information if you are traveling the Washington PCT section in the fall. In the 1970s, a greater percentage of thru-hikes went southbound than they do today. The opportunity for solitude and reflection are greater. Probably, more people could be attempting southbound thru-hikes. Regardless of your start date, your aim is to get through the high mountains before the snow falls again. You should reach Kennedy Meadows on the south side of the Sierra Nevada by late September-early October. The regular Sierra resupply points may already be closed, but the first significant snow storms usually start hitting the Sierra in early October. Be cautious. Being in the mountains during an early season snowstorm can kill you. Very experienced PCT hikers have learned this the hard way. Significant Sierra snowfall is a regularly occurrence the first week of October. 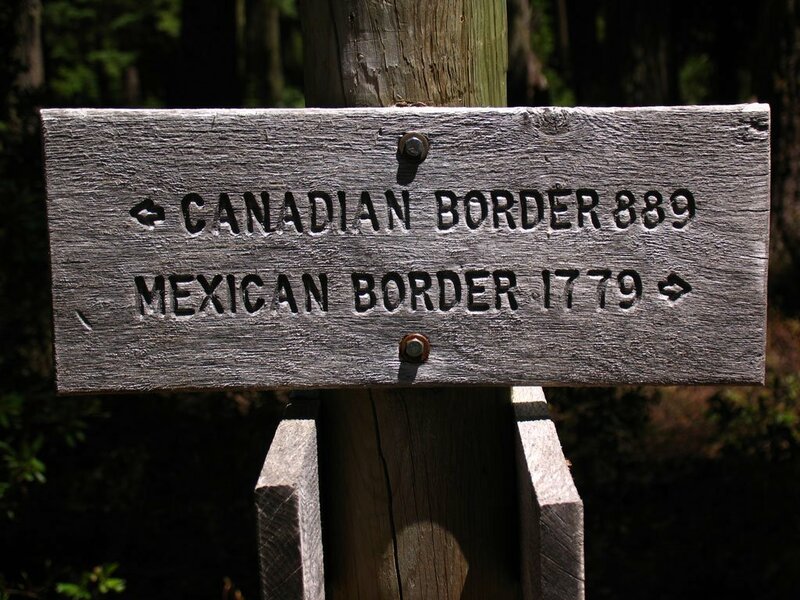 Starting a southbound hike is a little bit of a logistical problem as it’s illegal to enter the United States from Canada via the PCT. You’re likely going to start your hike in the United States from Harts Pass. If it’s a heavy snow year, it’s possible that the road to Harts Pass will be blocked by snow well into late June. If the road the Harts Pass remains blocked, that’s usually a sign of difficult conditions on the trail. Consider delaying your start. The beginning of your hike is likely to include significant snow travel. The snow in the North Cascades stays on the ground, especially on the passes, until mid-July or later. This can include steep, dangerous slopes that will challenge the average hiker. You’re be in light mountaineering mode right at the start of your southbound thru-hike. You’re likely to tackle the snowbound north facing sides of passes without footprints to follow. You should be fit, skilled and prepared to deal with it. You’ll need to be a proficient navigator. Most southbounders start at the end of June or early July. Even if you push back your start date, you should anticipate snow travel. Hiking across Southern California in the fall, you’ll face a trail with few natural water sources. This is not an insurmountable obstacle for hardy long distance hikers. Water caches that are never reliable are even less guaranteed at this time of year. If you’re especially late in the season, some campground water faucets might be turned off. Most unfortunately, the water issues are significant. In some ways, it’s much like the trail used to be: little support and little information. As in day’s past, the adventure requires you to plan well, be prepared and act cautiously. You may find yourself seeking out water sources that are farther off trail and carrying more water between known reliable sources. Flip-flops, the term for piecing together sections of the trail in different places during the same season, is a great option. By skipping snowy sections and returning when it’s snow free, you can piece together the whole trail in a single season while reducing the risk and difficulty involved in hiking in the early season. Frequently, people want to start a thru-hike in late June after school lets out. Generally, a southbound start is a logical option. You might also want to travel with the “herd” of hikers northbound. You could start in the Southern Sierra, hike north to Canada and flip down to Southern California in the fall.